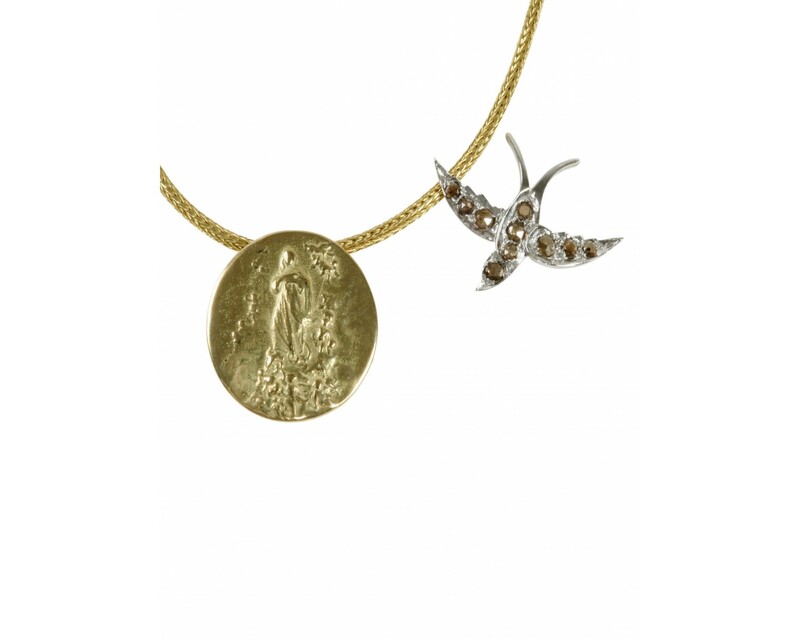 Mixed Charm Necklace with 18ct yellow gold Madonna & cherub medallion with an 18ct white gold swallow with rose cut diamonds. 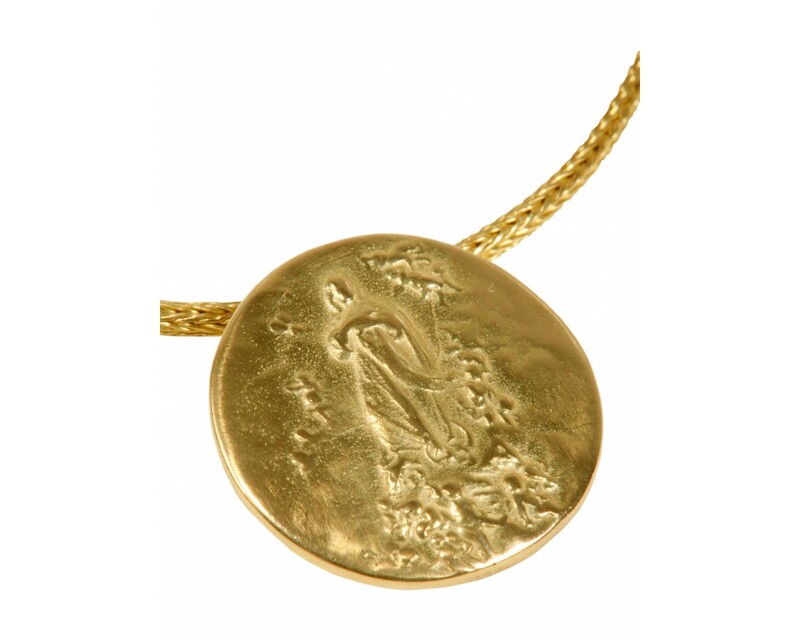 Shown on an 18ct woven yellow gold chain handcrafted in India. 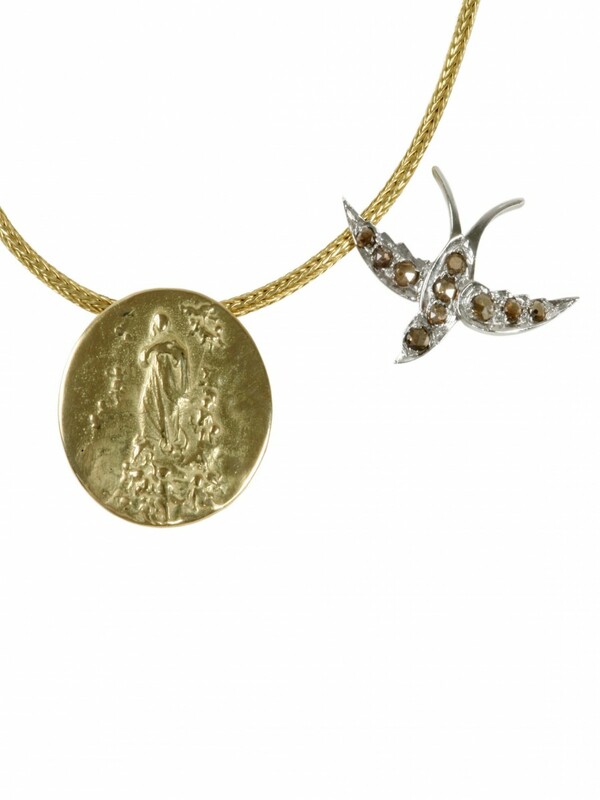 Divine 18ct gold Madonna with Cherub Medallion. 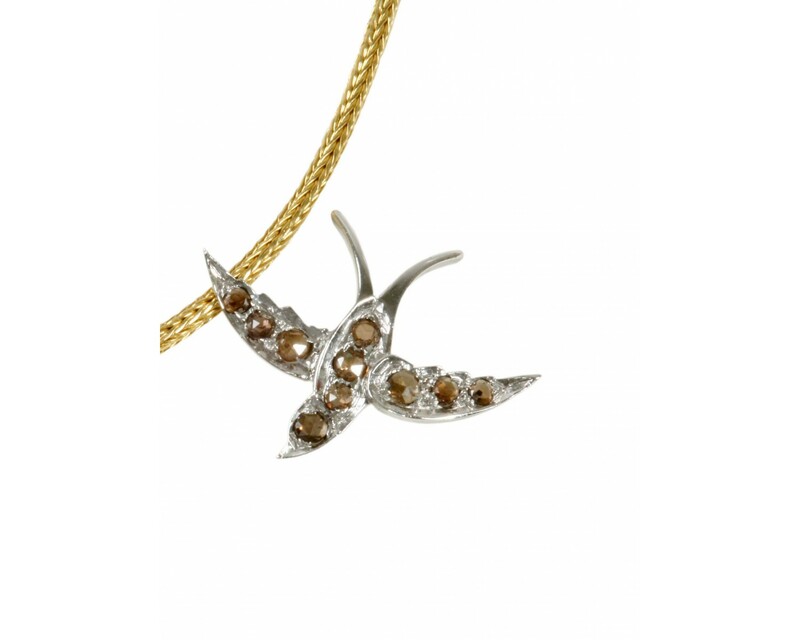 Swallow charm with cognac coloured rose cut diamonds set in 18ct yellow gold. So charming and simply gorgeous. An eternal symbol of peace and love. Gorgeously lovely worn on it's own or with another charm as shown on our beautiful 18ct gold woven Indian Chain. Mix up and match as you wish with other charms and pendants available.